Social security pays you a set amount of money per month once you reach retirement age. The amount of money that you receive is based on the amount that you paid into the system and the number of years worked. For each year of work, you are awarded a maximum of 4 points, and it takes 40 points to be eligible to receive social security benefits. The only way to receive benefits without acquiring the full number of points is to qualify based on disability. Obtain a letter from your physician indicating that you have an illness that will prevent you from working for at least one year, or that will result in death. Run the "duration of work" test to see if you have worked enough years to qualify for social security disability benefits. The working years requirement ranges from 1 1/2 years of work for those under age 28 to 9 1/2 years of work for those age 60 or above. Refer to the Social Security Disability website, listed in the Resources, and locate your exact age. Use the "recent work test." 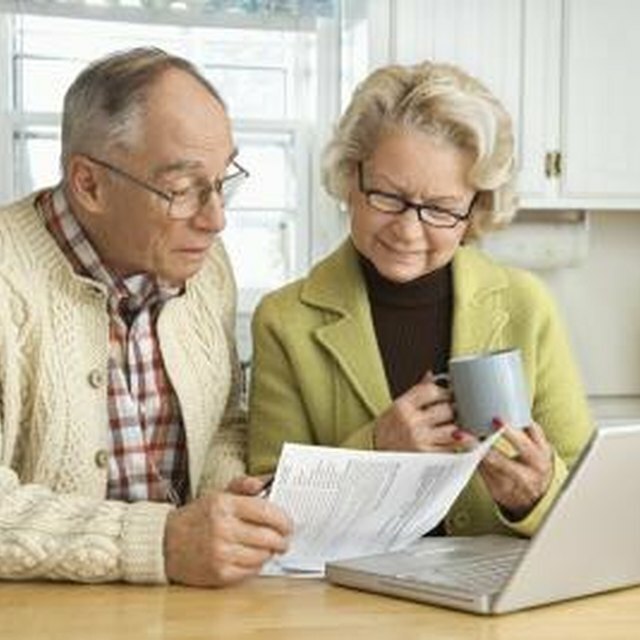 In order to pass, you will have had to perform some work for which social security deductions were taken out. The work qualifications vary based on age. If you were disabled prior to turning 24, you must have worked at least 1 1/2 years before becoming disabled. If you were disabled between 24 and 31, you must have worked at least half of that period. If you were disabled at 31 or older, you must have worked f5 years out of a 10-year period. Apply for benefits at the Social Security Administration website. The online application requires your name, address, social security number, birth certificate, contact information for all physicians and medical workers, medical records, names and doses of medications, summary of type of work you performed, previous work locations and your most recent tax return. Wait for the Social Security Administration to contact your physicians and make a determination on your claim.